Honda VT700C Shadow 700 Running Engine 1986 - VIDEO. 09 CFMOTO V5 RUNNING ENGINE / TRANSMISSION. VIDEO. GUARANTEED. 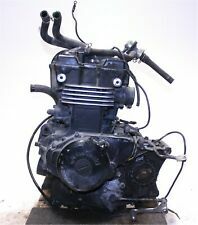 Honda Rebel CMX 250 Running Engine '03 . 12K miles. VIDEO. 07 Yamaha VStar XVS1300 Touring Engine 2,700 miles! Runs great: Video inside. 04 05 SUZUKI MARAUDER 1600 LEFT ENGINE COVER off VZ1600. NICE!